You need batteries to fly a quadcopter. The battery we selected will be used to power the receiver, flight controller, the OSD, FPV video camera/transmitter and to power the four motors that spin the propellers and give the quadcopter the lift it needs. As you can see, the battery is very important and also adds the most weight per single item. 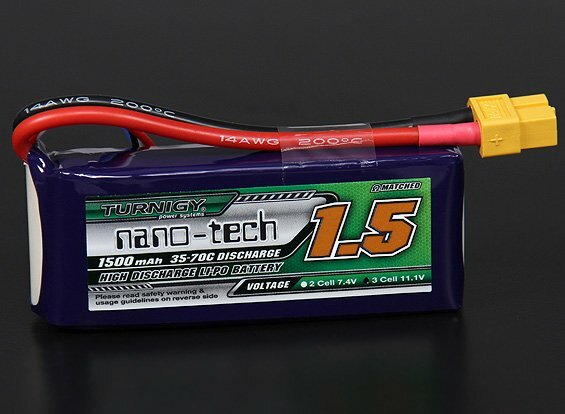 We've selected the Turnigy nano-tech 1500mah 3S 35~70C Lipo Pack to power our copter. Welcome to mavromatic! My goal is to bring to your attention the latest DIY projects, the greatest home automation and home theater products. As well as, the occasional offbeat entry, to spice things up a bit. Follow and send tips to @DannyMav & @Mavromatic on Twitter. Also, subscribe to my YouTube Channel. All Content Copyrighted 2004-2017, mavromatic. All rights reserved.